Bruno's Limited Lifetime Warranty on major components and two years on parts. For convenience, power footrest and/or a power swivel seat can be added. Folding rail. 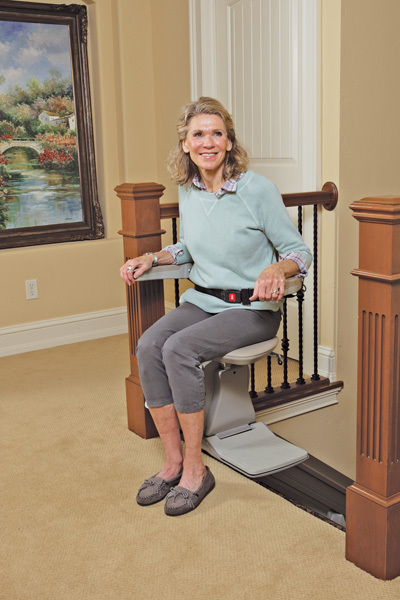 At the bottom landing the rail may block a doorway or be a tripping hazard. A manual or power folding option is available to fold the rail up out of the way. 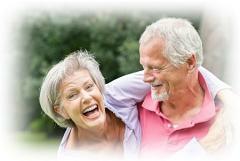 Call Accessibility Services, Inc., now at 702.469.6090 to set up an in home appointment. 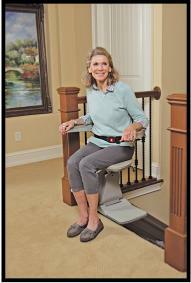 The Elan stairlift (chair lift) by Bruno is a terrific value.